Emergency services fear that the ‘random nature’ of the code could mean that first responders have difficulty in getting to the scene of an incident. File photo of a fire. THE GOVERNMENT HAS rejected accusations that the introduction of the new Eircode postcode system could ‘cost lives’. A representative body for emergency services fears that the introduction of the new system, which would see each address allocated a unique code, will mean that first responders may have difficulty in getting to the scene of an incident. The Irish Fire and Emergency Services Association (IFESA) said their concerns mainly involve the ‘random’ nature of the code. The organisation’s chairman, John Kidd, said that in other areas such as Northern Ireland, the codes are predictable, meaning emergency services are able to quickly figure out where the incident is. He claimed that it “will cause confusion and may be catastrophic in terms of sending services to the wrong location”. “Response times are always critical and anything that makes them worse is not suitable for our members,” Kidd said. However, these accusations have been rejected by the Department of Communications, Energy & Natural Resources, noting that stakeholder feedback has been largely positive. 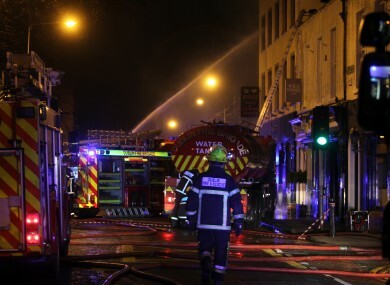 A spokesperson for the Department of Communications, Energy & Natural Resources noted that emergency services will not have to exclusively rely on a postcode when dispatched to an incident, as an address will have to be provided as well. “The Emergency Call and Answering Service (ECAS) will therefore check if the Eircode is correct – so the scenario outlined [by the IFESA] will not happen,” they said. The introduction of Eircodes will improve public services and safety, and will assist emergency services in locating addresses. The National Ambulance Service is keen to have the system rolled out and to assist with Rapid Patient Access. The spokesperson added that ECAS will be fully briefed on the new system. Email “Claims that Eircode will 'confuse emergency services and cost lives' denied”. Feedback on “Claims that Eircode will 'confuse emergency services and cost lives' denied”.